So far we’ve been lucky and fire season has avoided us here in Northern Nevada. 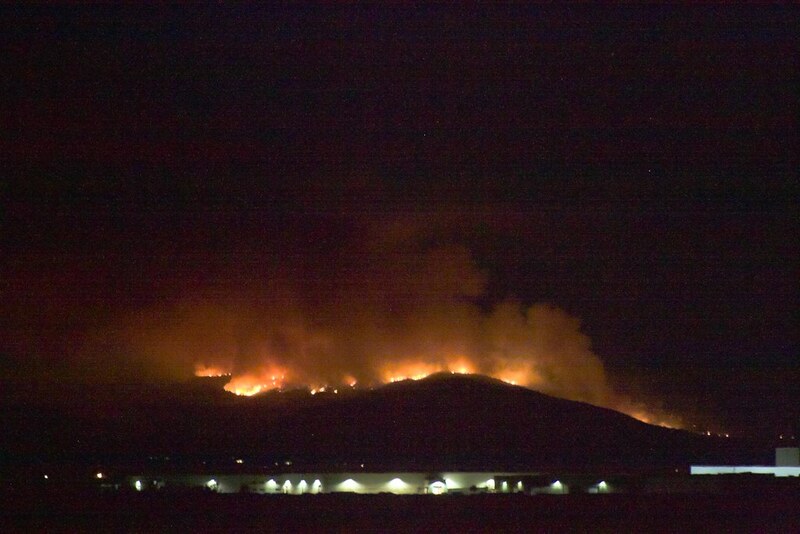 Yesterday we were reminded that one of the perks of summer is the constant threat of wildfire, as a blaze sparked up south of Gardnerville, threatening homes and closing Highway 395 for a few hours. It looks like now the flames have been pushed into the hills, where they are continuing to run free, but they’re away from civilized areas for the moment. 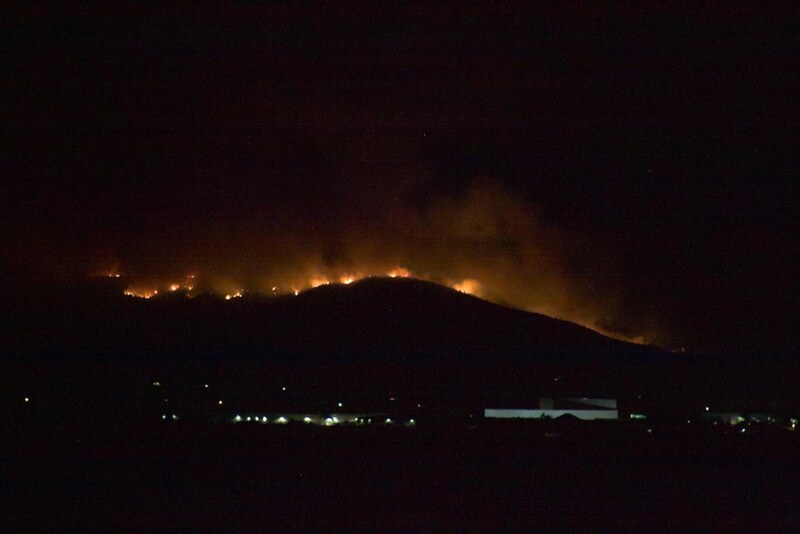 Here are a few pictures from last night and the view we got from the valley of the flames looming over us.